Those living in Denver don’t need to be reminded of the difficulty finding housing, especially condos, that are affordable for the average household budget. The condo share of the housing market dropped from 23 percent to four percent in recent years, in part due to developers’ fears of class-action lawsuits, which are currently pretty easy to file in Colorado under the construction defects law passed in 2001. But, Sen. Mark Scheffel is leading a coalition of legislators to fix this. 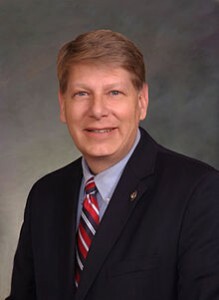 “This is hurting first-time homebuyers, young people trying to get into the housing market and seniors,” said SB 177 co-sponsor Senate Majority Leader Mark Scheffel, R-Parker. The coalition includes co-sponsors Sen. Jessie Ulibarri (D-Adams County), House Minority Leader Brian DelGrosso (R-Loveland), and Rep. Jonathon Singer (D-Longmont), which shows that this initiative just might have teeth. If passed, it would put a spark back into the condominium market and affordable family housing. This is the third time Scheffel has tried to pave the way for developers to invest in housing projects, and we have to applaud his dedication. Last year, then-Senate President Morgan Carroll (D-Aurora) essentially killed the bill single-handedly when she refused to call a second committee hearing with only three days left in the session. The bill offers builders and developers some peace of mind by requiring HOAs to pursue mediation and obtain written consent from a majority of unit owners prior to filing a class-action construction defects claim. Currently, builders are spending $10,000 per unit just to cover insurance on condos priced in the mid-$200,000 range. When his last effort was stymied in 2014, Scheffel optimistically said, “You lay groundwork. You think incrementally. You have to think one or two sessions ahead.” One session later, we hope his perseverance is rewarded, for everyone’s sake.